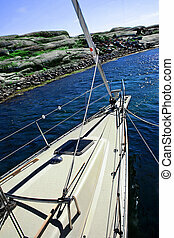 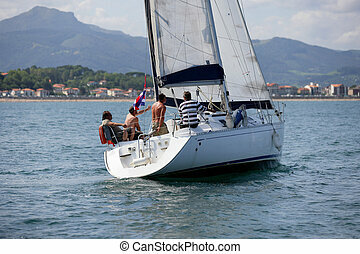 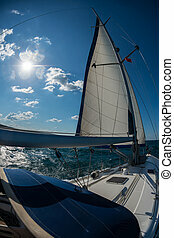 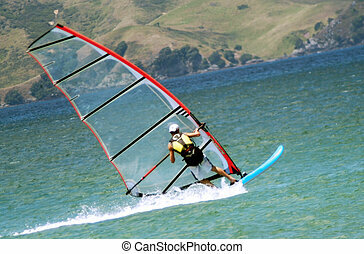 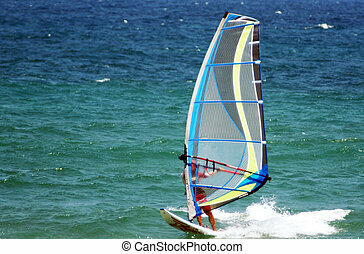 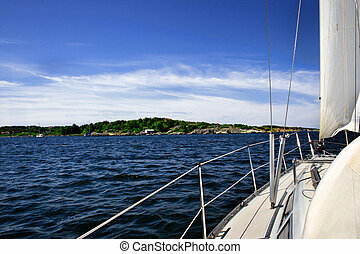 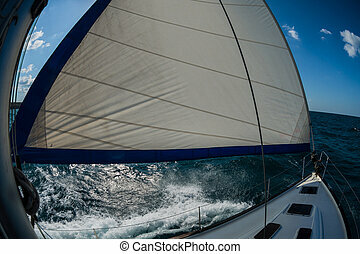 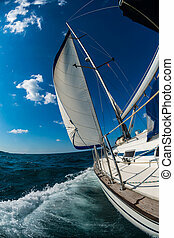 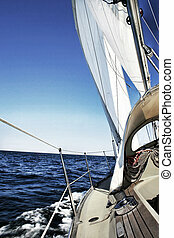 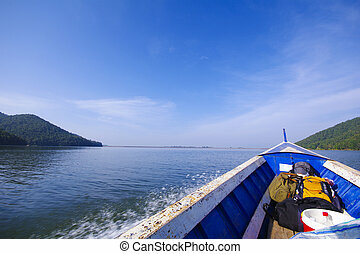 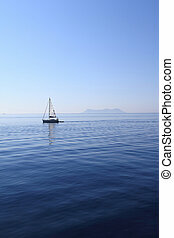 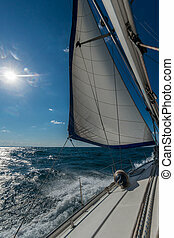 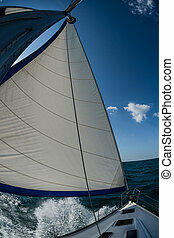 Sea sport - sailing. 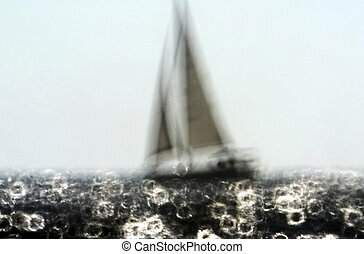 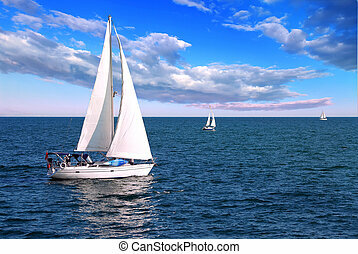 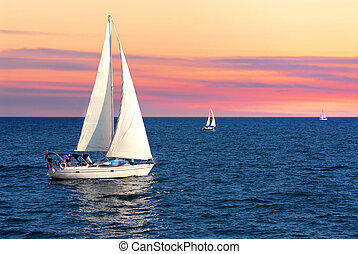 White sails boats at sea. 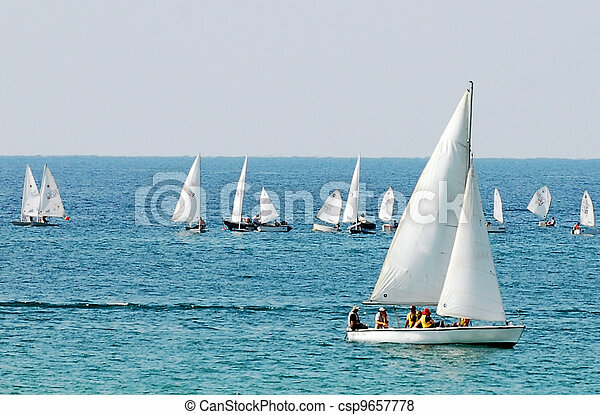 White sails boats at sea. 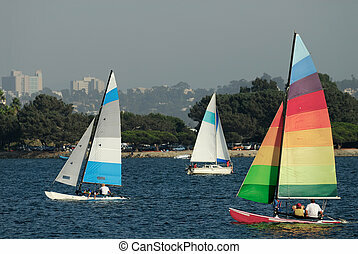 Two yachts and a catamaran are sailing in a Mission Bay, California on a nice summer afternoon. 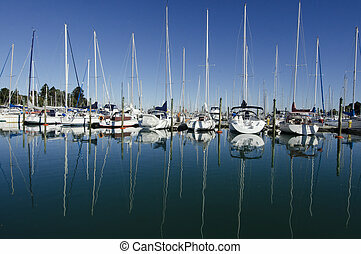 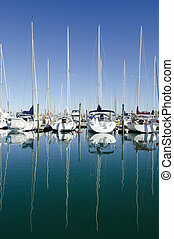 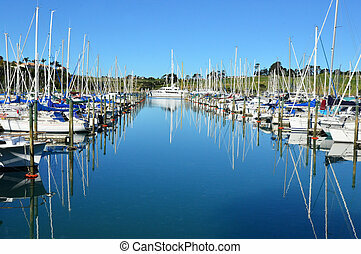 Yachts and boats in the harbor Auckland New Zealand. 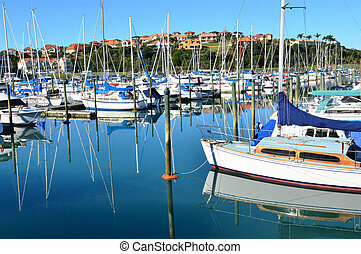 Boat mooring in a marina. 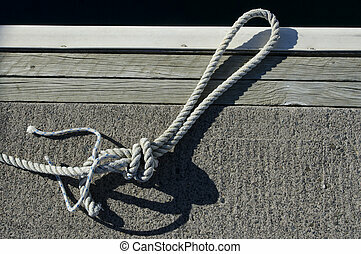 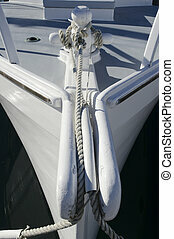 White rope on a dock. 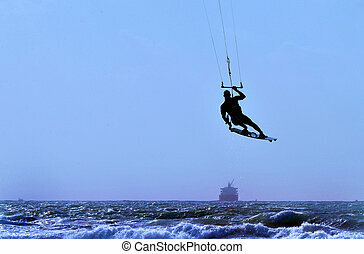 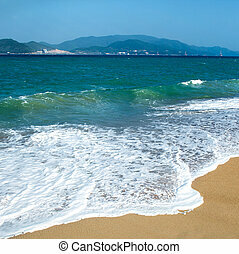 Young and talented kitesurfer is kite boarding along the Mediterranean sea coastline. 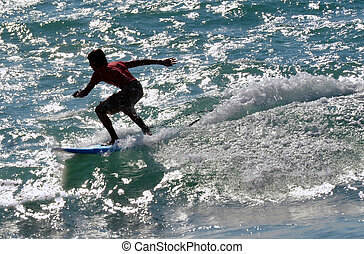 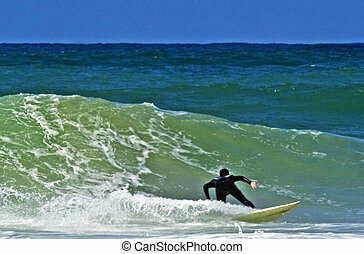 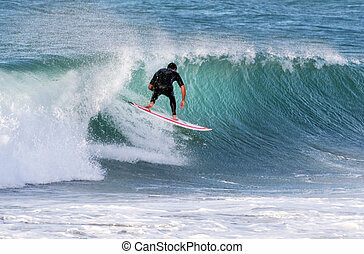 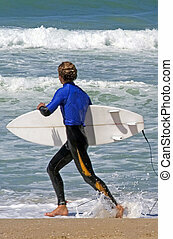 Wave surfer surfing wave at sea.